Collage canvas – Creation online - Now with 250 FREE templates! The collage canvas is a creative option for printing several pictures on one canvas print. 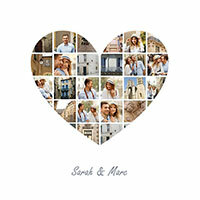 The various photo collage canvas templates allow you to design your own collage canvas prints completely individually. 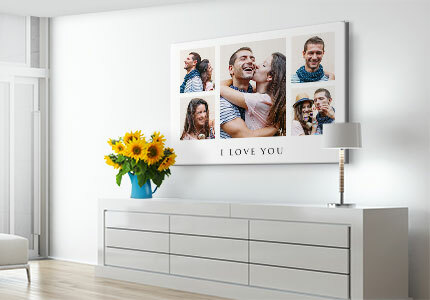 This means you have the opportunity to combine your photos thematically, and to depict, for example, a holiday, a wedding, the most beautiful pictures of your children or simply time spent together on a large collage canvas print to have the best personalised canvas. 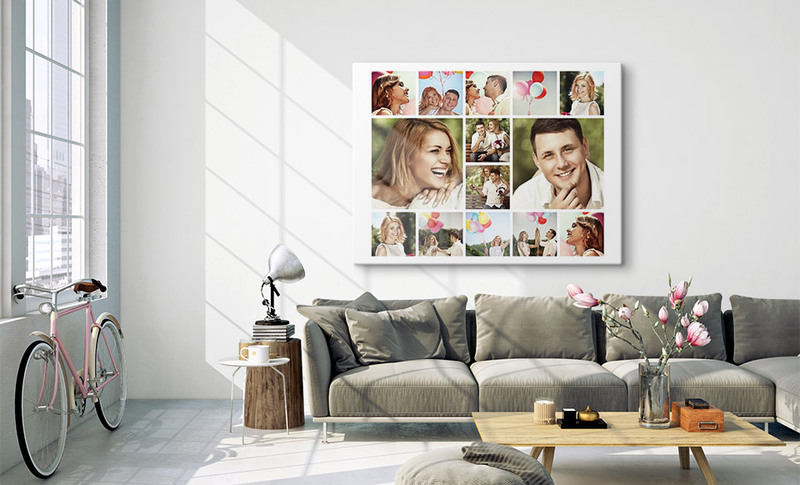 With a little creativity and some design skill, your photo collage canvas will be a small work of art that will delight you for a long time to come. Did you know? 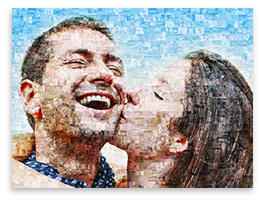 You can use up to 100 photos in one collage canvas. Using the collage editor, it is very easy to create your own canvas prints collage using your own photos. Take care when selecting your photos that they are in JPEG format. This file format can be handled best. There is no limit to the number of photos you can transfer for your collage canvas printing. However, it’s easier to arrange the photos when you have a clear overview. Saving the designed collage canvas in the interim is not possible. 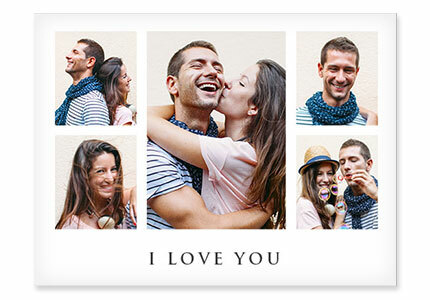 The collage canvas template you have created is always shown live. This provides you with a simple preview of how your collage canvas print will look later. With more than 120 different collage templates, we offer a wide range of options for your photo collage canvas. Depending on the occasion, there are simple rules for selection. As a rule of thumb, the more people you want to depict on your canvas print, the more photos have to be fitted into your collage canvas. We offer templates for 3 to 29 photos. However: The fewer photos there are on your canvas collage, the less busy and more elegant the effect will be. If in doubt, it helps to simply try it out. Tip: You can choose from over 250 FREE collage templates on our website.